Effective Finance & Governance, Risk Management & Compliance departments are integral to running a sustainable, financially sound and ethical business. 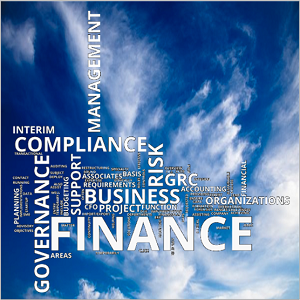 Our Associates support organizations who have temporary operational finance management requirements on an interim basis. We deploy Associates to fill gaps in all areas of the finance function. This ranges from providing transactional accounting support through to assisting CFOs with budgeting and business planning challenges. Often we are requested to temporarily function in the CFO role to ensure business continuity. We also assist organizations with strategic Finance and GRC project implementations both in project lead roles as well as on a subject matter expert basis. Click here to contact us to discuss your Finance & GRC requirements.